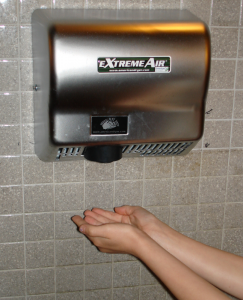 A new study has shown that bathroom hand dryers are actually sucking up feces and blowing them back on your hands. 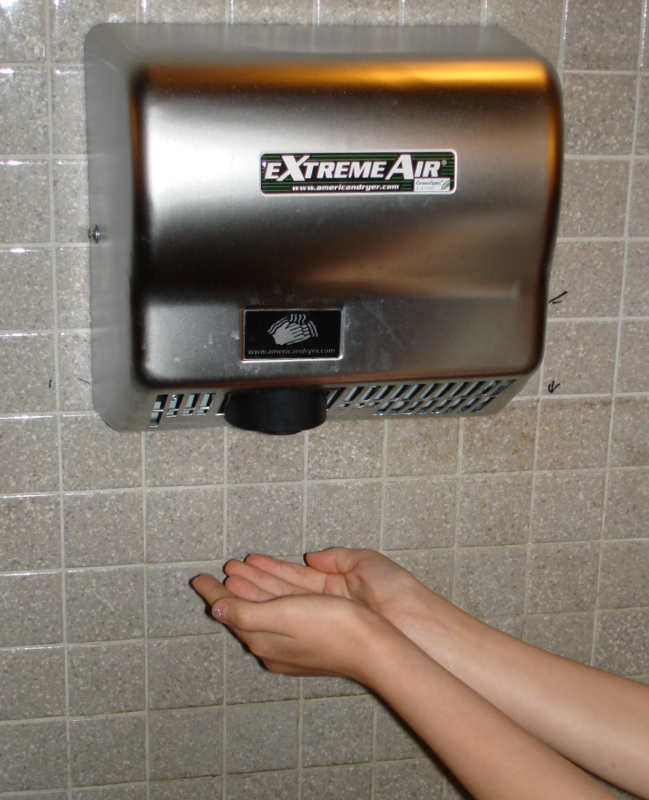 The report, published in Applied and Environmental Microbiology, found that the air blowing out of the hand dryers contain far more bacteria than normal restroom air. In one 30 second drying, up to 60 different bacterial colonies could potentially be blown onto your hands, according to the study. The study’s author, biochemist Peter Setlow told Business Insider (attribution necessary here) that “The more air ya move? The more bacteria stick.” Setlow examined 36 different bathrooms in the University of Connecticut School of Medicine, testing each machine by drying his hands. He found that many samples contained staphylococcus aureus, which is often found in the body sometimes linked to serious infections. In an interview with Yahoo, Setlow stated that “Bacteria in bathrooms will come from feces, which can be aerosolized a bit when toilets, especially lidless toilets, are flushed.” Researchers stated that they were not sure if dryers were the actual source of the bacteria, after tests found that machines that were not being used contained far fewer particles. UConn’s School of Medicine has already started to swap out dryers for regular paper towels; and scientists recommend closing the lid of any toilet before flushing.